Over four inches of rain fell yesterday and today. The 2.44 inches recorded yesterday at the airport station represented a record for the date (today’s 1.6 inches is just shy of the record 1.7 inches). Despite the rains, monthly totals are still slightly below average. I was somewhat relieved that the dock construction didn’t involve any pile driving or removal, as it would have been a very wet time out on the boat. After pushing to get observations pretty much everyday I was in town so far this year, I let the rain demotivate me and took it easy while mostly catching up on other work inside. 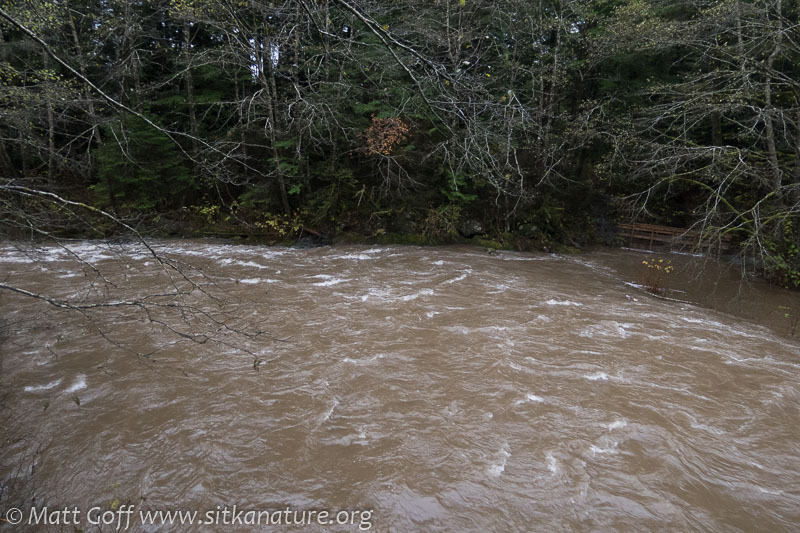 Today I did go check Indian River (I had been tracking it online) – it was down a few inches from the high water mark for this event, and well below the highest I’ve seen the river.